[TRANS] 110830 HAMASAKI AYUMI’S SUDDEN WITHDRAWAL FROM “CLOSING STAGE” – WHAT KIND OF DISCORD WAS THERE? Singer Hamasaki Ayumi (32) revealed via her personal twitter that she chose to back out from doing her annual closing stage, creating an issue. It was said that this was a way of showing objections towards her company Avex, but what exactly happened? This event in question was organized by Avex, the summer outdoor festival “a-nation.” Hamasaki Ayumi had, aside from the first year, been the closing act for 8 consecutive years, yet she did not do so starting from the 27 August performance in Tokyo, to the surprise of many fans. Instead of Hamasaki Ayumi, the closing stage was performed by the Korean male idol group who had been reduced from 5 members to 2 members, the reborn “Tohoshinki.” Hamasaki Ayumi performed just before Tohoshinki. According to reports, the reason given was “convenience of performance” but pre-event materials for the media showed that Hamasaki Ayumi would be the closing act. Because of this, there were many speculations discussed on the internet. There was also the opinion that this was done as a strategy to combat the fact that fans would start leaving after the Tohoshinki performance. In the three days after the event, replying to questions posed to her, Hamasaki Ayumi explained why she had not been the closing act. According to this, the a-nation event song setlist had included the song from her mini album to be released on 31 August, with Korean artist Juno (24). Juno is the twin brother of Junsu, one of the members of “JYJ,” the unit that broke away from Tohoshinki. Juno’s appearance was suddenly terminated, and instead AAA’s Urata Naoya (28) who would be performing together with her for another song in her mini-album, would be singing Juno’s song. Because of this, Hamasaki Ayumi bore distrust for the a-nation event, and showed her objections to the organisers, Avex. She considered pulling out of the performance, but after considering about the fans and staff, she decided to stay. Instead, she requested to pull out from doing the closing act for the two Tokyo performance days. ■ Dissention concerning Tohoshinki a reason? With regards to her sudden pulling out, Hamasaki Ayumi said “The important thing is not “how can it be seen” but “how to protect it,” and this is the belief that resulted in everything that has happened today,” she explained in her tweet. After her own revelation of this matter, the Tohoshinki fans became confused. Hamasaki Ayumi did not offer any explanation as to why Juno’s performance was cancelled. But without knowing the actual truth, there were speculations concerning Tohoshinki and the dissention due to the lawsuit between JYJ and their Korean management company SM Entertainment. On the internet, judging from the circumstances, suspicions such as the fact that the SM side had shown their displeasure with the appearance of Juno, brother of JYJ’s Junsu and other similar speculations have surfaced. We tried to contact Avex Entertainment about this, but the spokesperson could not be contacted. 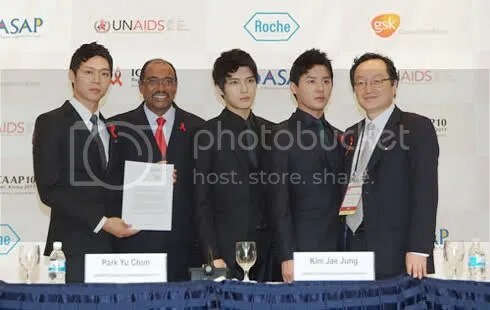 Boy band JYJ have become the first Koreans to be named UNAIDS Goodwill Ambassadors for the Asia-Pacific region. The band was officially appointed at the 10th International Congress on AIDS in Asia and the Pacific held at the BEXCO center in Busan on Monday. It also performed at the congress’ opening ceremony. JYJ delivered messages to promote the prevention of AIDS and raise awareness of the disease at the event, which was attended by 4,000 people from 70 countries. Meanwhile, the band will also be making an appearance at the closing ceremony of the IAAF World Athletic Championships in Daegu on Sunday as a representative of K-pop. Organized by Avex, the largest outdoor live tour in Japan “a-nation 10th anniversary for life Charge & GO!”(7 Performances in 5 Cities) performed in Tokyo’s Ajinomoto Stadium on 29 August (T/N: This is a translation error – it should be on 28 August). Popular idol group AKB48 made their first appearance (at a-nation) and with Tohoshinki as the closing act, the audience of 52,000 people were in a frenzy. In the Tokyo performance on 27 August, Tohoshinki appeared for the first time in 2 years, and were the closing act for the first time in a-nation. This day, they were also the closing act, showing a powerful stage. As the two men took to the stage, the red penlights shook passionately, and the stadium was filled with cheers. Performing the intense dance number “Rising Sun,” Yunho said “Thank you for waiting, Tohoshinki has returned to a-nation! Tokyo is truly great. It’s passionate and feels really good.” Changmin said “I’m really happy to be performing with such great artists, and I’m really happy to be able to spend time with everyone who is here right now,” in a thankful manner, earning cheers and screams from the audience. Then, as he perspired, Changmin was going to announce the next song, and the audience responded with an “Eh~ (wanting him to talk more)” and Changmin said “Every time I say “we’re going to perform our next song”, you say “eh~” but still, now it’s time for the next song!” cutting everyone off swiftly while inducing laughter, and revealed their new song “Superstar.” Following that, they did a medly of songs including “Toki wo tomete” and “Somebody to Love,” bringing the entire crowd to a collective high, and finally did the spectacular dance performance of “Why? (Keep your head down).” “You’ve all worked hard at a-nation 2011. This has been a really happy summer!” (Changmin said) as they finished the last of the tour. Actress Wang Ji Hae, who has become the center of attention for sharing a surprise kiss scene with Hallyu star Kim Jaejoong smiled as she confessed that she was scared that she would be reviled for it by fans. On the episode of SBS’ Wednesday-Thursday drama ‘Protect the Boss’ that aired on the 18th, Wang Ji Hae shared a surprise kiss scene with Kim Jaejoong, who plays Cha Mu Won. The scene showed Cha Mu Won taking Seo Na Yoon by surprise in an intimate kiss. Though the scene itself was beautiful, Wang Ji Hae worried about the fact that she shared a kiss scene with Kim Jaejoong, a Hallyu star with many female fans. Meanwhile, Wang Ji Hae has her viewers in bouts of laughter as she plays Seo Na Yoon, the seemingly perfect chaebol daughter who reluctantly concedes to the fact that she has been bested by a secretary No Eun Seol (Choi Kang Hee) in the eyes of Cha Ji Hun (Ji Sung) and Cha Mu Won (Kim Jaejoong). The Seoul Drama Awards 2011 Press Conference occurred on August 29th at the International Conference in Seoul. Seoul Drama Awards is an awarding ceremony where all dramas come together and compete. 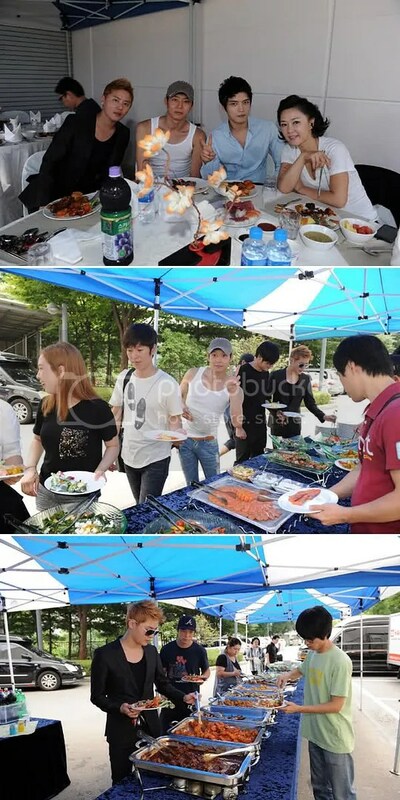 In this press conference, actor Park Yoochun and director Im Kwon Taek also participated. The award ceremony will take place on August 31st and will be hosted by Ryu Si Won at the Yeouido KBS Hall. 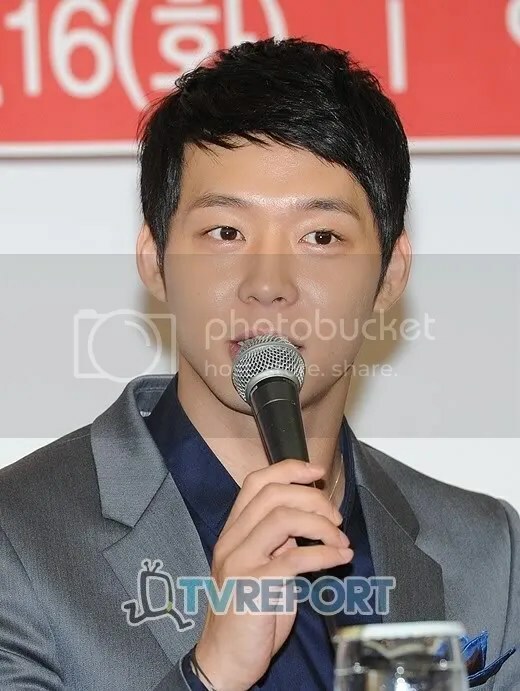 Park Yoochun also commented when asked about his rival for this award, “Kim Jaejoong who is appearing on the SBS drama “Protect the Boss” is my rival”, Park Yoochun laughed. “Tomorrow I was thinking of going to visit their set. He’s someone that is very close to me but at the same time always has his guard up.” Park Yooochun joked. On another note, Seoul Drama Awards 2011 will occur on August 31st from 5:10pm at the KBS Hall, and SBS will be having a live stream. 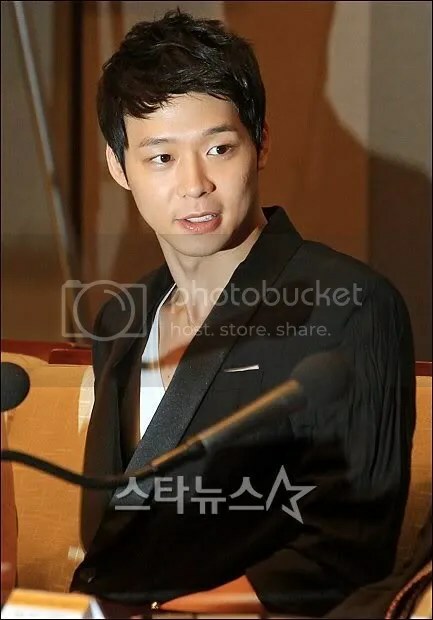 On August 29th, JYJ’s Yoochun attended the press conference for the ‘2011 Seoul International Drama Awards‘ at the International Conference Hall in Seoul. The person he chose is none other than fellow member Jaejoong, who’s currently playing the role of ‘Cha Moo Won’ on ‘Protect the Boss’.